There are 11 professional basic medical colleges existing and 4 experimental centers which include: the Experimental Center of Basic Medicine, Experimental Center of Pharmacy, Pathophysiology Experimental Demonstration Center and Comprehensive Forensic Laboratories. The school has a number of departments in medicine and medical studies. They are as follows: departments in the field of Anatomy, Physiology, Pathology, Pathophysiology, Pharmacology, Biology, Histology and Embryology. The Department of Pharmacy and Department of Forensic Sciences form the basis of the medical center under laboratory experiments, functional labs, and anatomy labs. Pharmacology, Pathophysiology, and the Pharmacy experimental center are all part of the basic medical college. The existing personnel in the basic medical college consist of 95 people. Two of them have doctorate’s degrees, 44 professionals with master’s qualifications, 13 people with senior titles, 27 associate professors and 9 individuals who have master's tutor titles. The Department of Anatomy: Systemic Anatomy, Regional Anatomy, Human Anatomy, Physiology and Anesthesia Physiology. The Department of Pathology: Pathology, Oral Tissue Pathology, and Pathophysiology. The Department of Pharmacology: Pharmacology, Clinical Pharmacology, and Anesthetic Pharmacology. The Biological Department: Medical Biology, Medical Genetics, Cell Biology and Embryology (major). The Department of Pharmacy: Pharmacy, Bio-Pharmaceutics, and Pharmacokinetics. The Medical Department: Medicinal Chemistry, Natural Medicine Chemistry; with a sub-department of Drug Analysis and Analytical Chemistry. 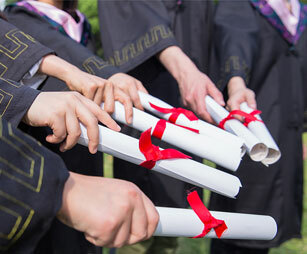 Hebei Province offers quality education and experiences in these courses. In addition to undertaking the task of a teaching school, the teachers have also declared a commitment to each department of the university by conducting various research projects at all levels. The university currently manages 10 professional medical students (undergraduates in Clinical Medicine, Forensic Sciences, Pharmacy, Stomatology, Medical Imaging, Anesthesia Medicine and Nursing). There are a total number of 2,533 people.